Growers of ornamental plants can use empty greenhouses during winter to produce a variety of edible greens. Ornamental plant growers who close down their greenhouses for the winter may consider using an empty house to produce an alternative crop such as greens during the winter months. Production systems range from high tech hydroponic systems for lettuce to growing mixed greens in ground beds using minimal or no heat. 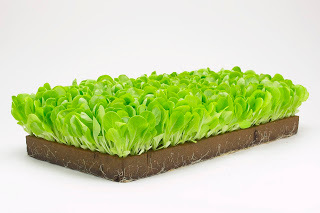 Researchers in the Department of Plant Science at the State University of New York (SUNY)–Cobleskill, are using existing ebb and flow benching for short-term hydroponic raft lettuce production. One thing that is common to most greens production systems is the use of a greenhouse structure. Since many greenhouses used to grow spring ornamentals are vacant between November and February, greens may be an alternative crop. When growing a crop of greens for the first time, especially if new to vegetable production, begin on a small scale. Growers are advised to research the markets including demands for certain types of greens, harvesting techniques, post harvest handling, storage and packaging. 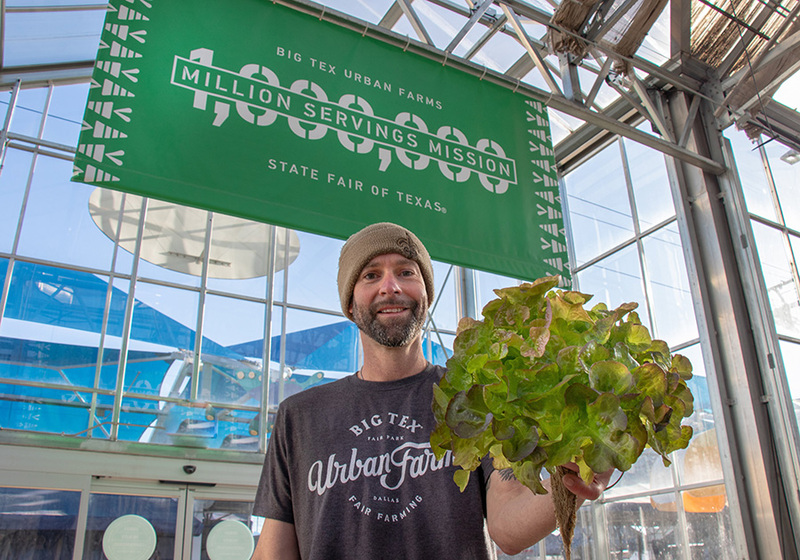 Areas with winter farmers markets have seen a high demand for winter greens, though in some cases the market is getting saturated and competition is high. 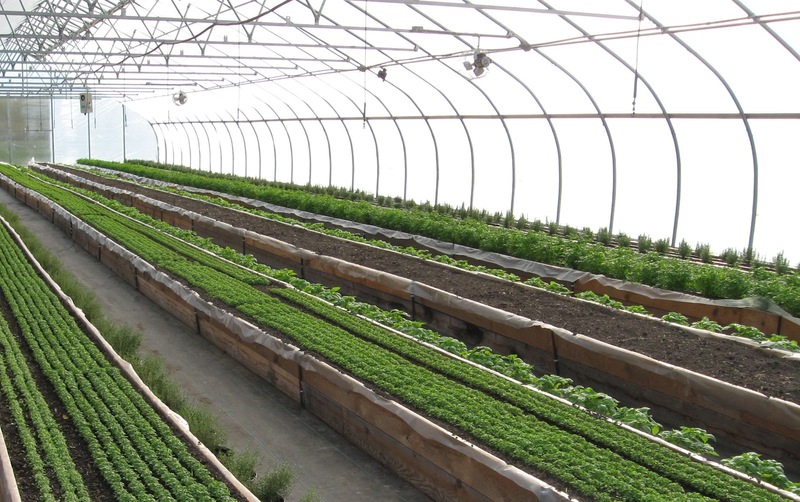 Resources are available on growing greens in high tunnels that can be adapted to greenhouse production. It may take some trialing to develop a production system that works for your operation. Greens being grown in ground beds. Greenhouse growers who produce ornamental crops tend to grow greens in soilless mixes or compost in containers on benches. For production systems that use minimal heat, greens are sown from early September through the first week of October and harvested in November and December. Planting times are one of the most critical factors for winter harvesting of greens. Successful growers develop planting schedules including expected harvest dates and record yields for future use. Early sowing is necessary because greens achieve most of their growth before short days lengths and cold temperatures occur. The growth rate slows during the winter months due to cold temperatures and low light caused by cloudy weather and shorter day lengths. There is very little or no growth when the day length drops below 10 hours per day, which usually occurs at the end of November through the beginning of February in Massachusetts. If minimum heat is used, winter production of greens relies on the plants making their growth throughout the fall. 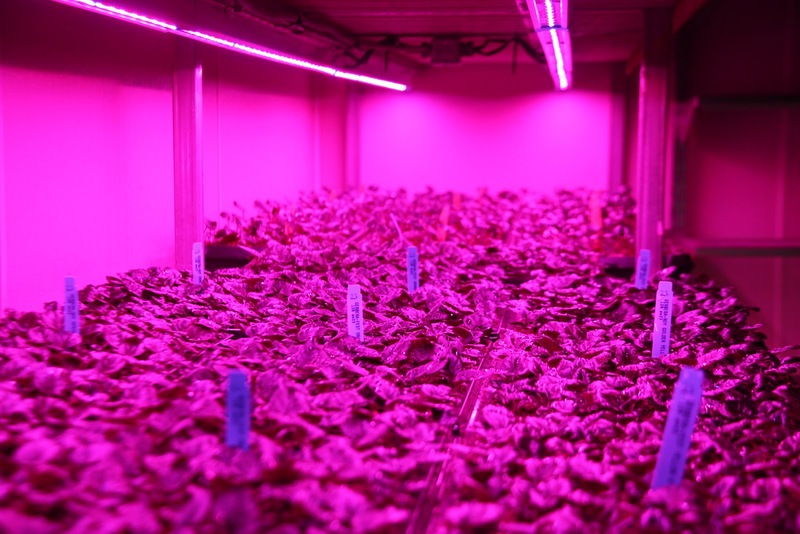 Recent research at the University of New Hampshire suggests that some species are more sensitive to temperature than to light whereas others such as lettuce are more sensitive to light than to temperature. One of the keys to success is to plant enough of a crop early in the season to be able to harvest through the cold season. For example, spinach may take several months to grow during colder months. Spinach seed should be sown in September and October so it is nearly full-sized in December and can be harvested through February. Greens being grown in flats. There are several types of greens that are grown for winter production, including Asian greens such as mizuna and tasoi, kale, lettuce (red and green leaf, oakleaf and romaine), mustards, gourmet cabbages, Swiss chard, spinach, arugula and claytonia. If you unfamiliar with some of these greens, taste them first and check out recipes for greens that are new to you. This can help with the best way to market the different greens. Lettuces are not as cold hardy as some other greens and some lettuce varieties are better adapted to cold weather and short days. Seed catalogs can help with specific growing requirements. Spinach is very cold hardy. However, during the darkest period of winter, spinach grows very slowly. As the day length becomes longer spinach regrows rapidly and some varieties bolt before the end of winter (February or later). Crucifers, including mustards, raab and Oriental greens such as pak choi and tatsoi, are good choices for cold-weather production. Swiss chard (Beta vulgaris), which is grown for its large tender leaves and rapid re-growth, is cold hardy and productive. Growers have found it best to plant different varieties in separate production blocks rather than mixed them together, since growth rates and times of maturity are different. Trial several varieties because they may grow better under various light and temperature regimes. Some varieties are quicker to bolt than others. Mixed packages of greens can be created after they are harvested. Containers. Greens can be directly sown in a variety of containers. Open seed flats are popular and fit well on benches. Some growers cover the benches with landscape fabric and fill with medium to create one large bed. Growing media and fertilization. 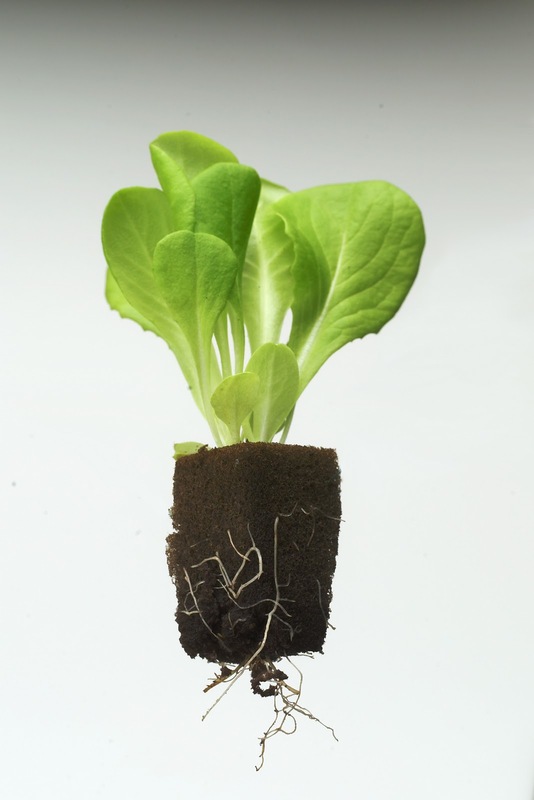 Soilless media or composts are used for growing greens. Organic production requires growing media that have been approved by an organic certifying agent or have been designated OMRI certified. Plants need less fertilizer as the growth rate slows. Avoid over-fertilizing, which can lead to soft growth and aphid infestations. Irrigation. Automatic sprinklers or hand watering can be used. Irrigate plants in the morning to allow foliage time to dry before temperatures drop at night, especially as the day length shortens. Under short days growth slows and less water is used. Avoid overwatering, which results in soft growth. Soft plants are less able to withstand cold and have less flavor. Greens being grown on subirrigation benches. Temperature. There are many options when it comes to temperature. Temperature affects the growth rate and also the flavor of greens. For example, arugula has a stronger flavor when grown at warm temperatures. Some growers produce a succession of greens harvesting every 14-21 days (micro-greens) at 50°F nights and 55°F days. Other growers provide minimal heat to maintain night temperatures of 37°F. On warm or sunny days, greenhouses are ventilated or the side walls are rolled up to increase air circulation depending on the structure. Some growers use ground beds without supplemental heat. Some crops such as lettuce and arugula do not grow well without supplemental heat. 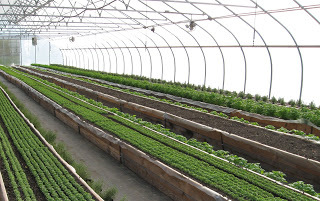 Growers who are using high tunnels without heat tend to use row covers laid over crops on cold nights. The covers must be removed during the day to allow the plants to receive light. Greens cannot be harvested frozen and must be thawed before harvesting. Light. Light affects the growth and flavor of greens. Decreased daylight results in slower growth. Increasing the temperature cannot compensate for the reduction in daylight. Greens tend to have a milder flavor under lower light. Mesclun grown under lower light is lighter colored than when grown under high light conditions. Pests. Some of the pests that may be encountered when growing greens include downy mildew on lettuce and spinach (two different species of downy mildew). Some newer varieties of spinach are promoted as having resistance to many races of downy mildew. However, this resistance may not be for all races of the disease. Powdery mildew is a problem on lettuce under low light and high humidity conditions. Voles can be also be a problem when growing greens. Harvesting and marketing. Greens can be harvested using a sharp knife, scissors or manually picked with no tools, one leaf at a time. Growers use both short and long blade knives. Greens can be harvested by either removing outer, larger leaves at regular intervals or by cutting the entire plant within an inch above the growing medium allowing the crown to remain. Leafy crops re-grow and can be harvested again. Once greens are harvested, some growers move the crop to a storage area to bag them for sale. If the greens are dirty, then they need to be double rinsed and spun to remove excess moisture. Spinach tends to grow close to the ground and may need washing. Growing in a soilless medium or compost in containers on benches can eliminate this step. Two popular markets for greens are winter farmers markets and restaurants. Many community-supported agriculture (CSA) farms are offering winter shares and some may be interested in buying in greens to add to the winter and storage crops they offer. Tina Smith is with the UMass Extension Greenhouse Crops and Floriculture Program, (413) 545-5306; tsmith@umext.umass.edu. This article first appeared in the July-August 2012 issue of the UMass Extension Floral Notes Newsletter. 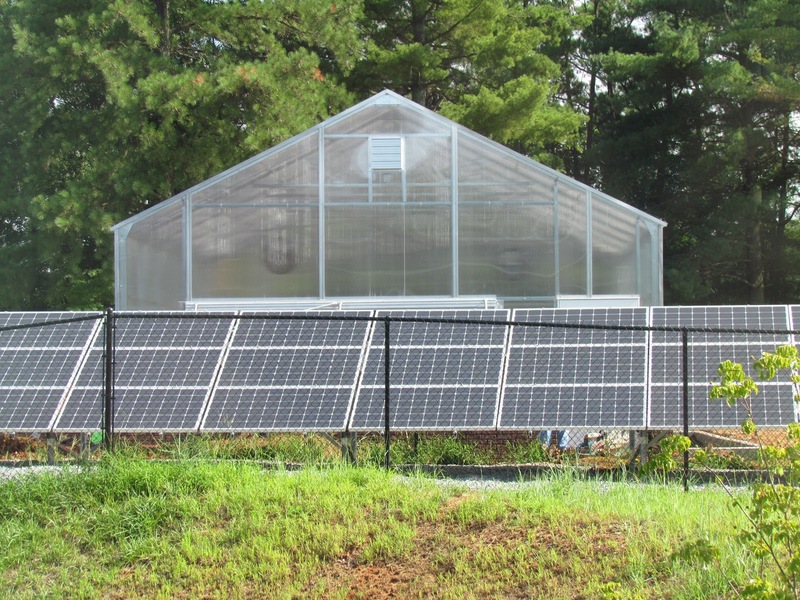 Students and faculty at Southern Polytechnic State University in Marietta, Ga., will be studying and doing research in a new solar powered greenhouse. When Marietta Power & Water contacted Southern Polytechnic State University about a grant program that could benefit the school, administration officials were eager to listen. The grant program, which was being administered by the power company and Electric Cities of Georgia, would enable the university to install 24 solar panels while paying only 1/3 of the total cost. Electric Cities of Georgia received the grant as part of the 2009 American Recovery and Investment Act. Marietta Power & Water used a portion of the grant money ($54,000) for the solar panels. The grant allowed for the installation of solar panels that will generate 15 kilowatts of electricity. The electricity generated by the panels is enough to power 225 light bulbs. “The grant was for 15 kilowatts of solar panels so we divided the installation,” said Steve Kitchen, senior director of facilities management at the university. Sixteen of the panels were installed on the roof of the Engineering Technology Center and generate 10 kilowatts of electricity. The remaining 5 kilowatts of electricity will be generated by eight solar panels that have been installed next to a new 25- by 35-foot greenhouse constructed adjacent to the ETC. Each of the panels measures about 4 feet wide by 7½ to 8 feet long. Both installations were covered by the grant. The 5 kilowatts of electricity generated by the panels will be used to support the greenhouse during daylight hours. The electricity will be used to power lights and a heater. 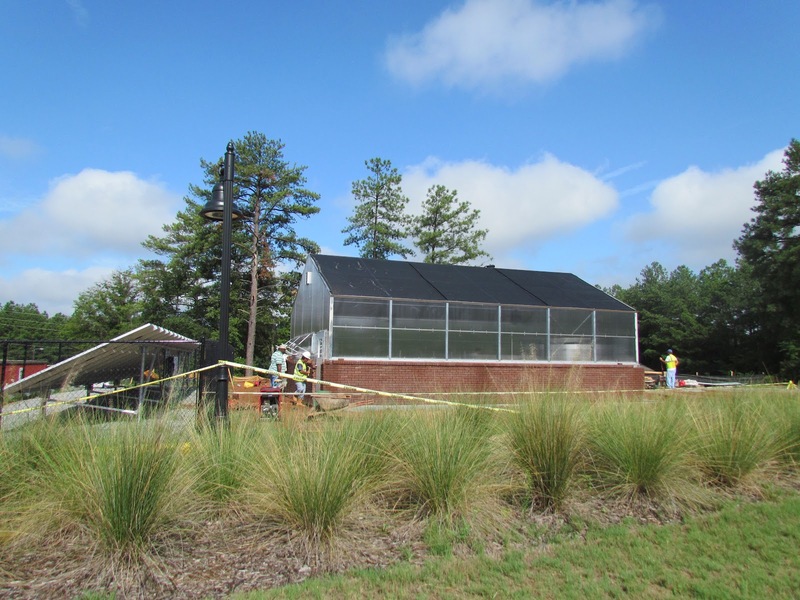 The greenhouse will be used primarily for academic and research purposes. Although the greenhouse is nearly complete, Kitchen said there may be some opportunities available for upgrading the system. The university will maintain the panels, which Kitchen said is relatively simple. Kitchen said the university has had limited exposure to working with solar power. Solar panels had been installed on the old engineering building. Kitchen said that the university does have an alternative energy program and he expects that the faculty involved with that program will be interested in learning more about the solar panels. He said they are always interested in looking at alternative energy sources and would likely be supportive of an expansion of solar panel installation. Kitchen said any consideration for use of alternative energy sources would probably not occur unless it was associated with a major renovation of one of the university’s buildings. “There is no other building on campus that is currently using alternative energy sources.” Kitchen said. “Part of it is the faculty and the research they are doing and what they are teaching the students. The other part is the practicality and the cost associated with using alternative energy sources. “Cost is a major factor. There is always a cost associated with bringing technology to campus. 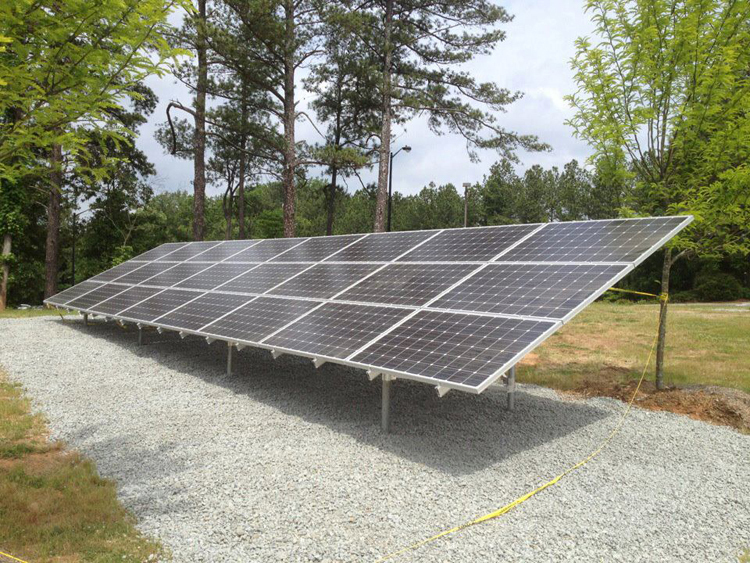 We are looking for projects, like what we did with Marietta Power, that we can team up with and offset the costs. For more: Steve Kitchen, Southern Polytechnic State University, (678) 915-3939; skitchen@spsu.edu; http://www.spsu.edu. 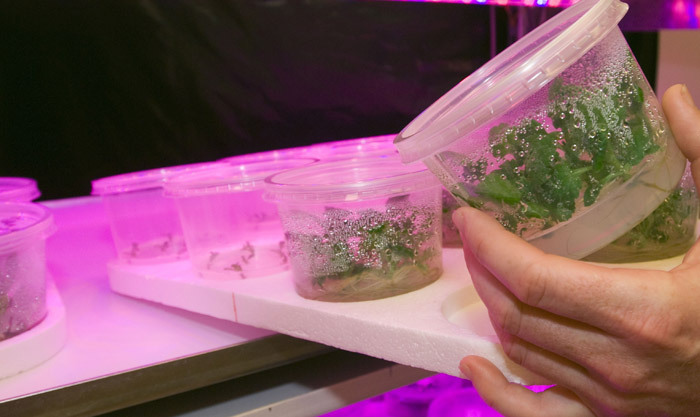 Hort Americas is working to help those interested in Vertical Farming develop their ideas. One thing needed is a “system” that allows new growers to test their theories. Hort America’s feels they have come up with an option. Hort Americas has developed a Vertical Growing cart that allows the grower to set up a germination area and a finished plant area. The customer can customize the Horticulture LED Grow Lights (referring to light quality and quantity), the planting intensities, the crops and the nutrient selection. The Vertical Growing Cart is heavy duty and portable, giving the grower the flexibility to try different locations and systems. For more information on Vertical Farming using these customized carts, please email Hort Americas at infohortamericas@gmail.com. 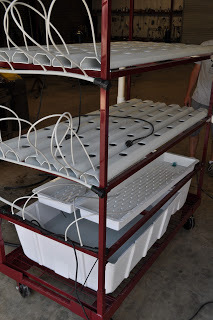 Photos of the First Cart designed to be shipped from the farm to the market using nutrient film technique, LED grow lights and organic fertilizers. Stock Tank(s), Germination and Finished Production in one area. 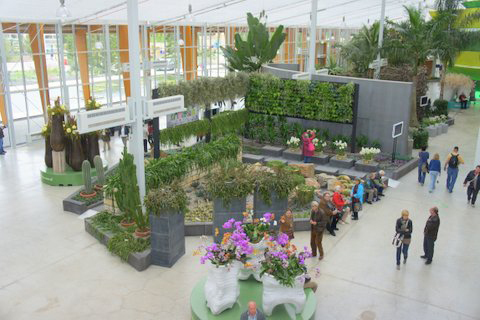 Hort Americas’ partners Philips and Horticoop are participating in this year’s Floriade. Philips lighting has been installed in the Dutch pavilion My Green World. The 49-foot high pavilion forms a landmark in the Education & Innovation part of the exposition. Within the pavilion is My Green Lab that includes a 16-foot tall structure made up of an eight-layer cultivation system. 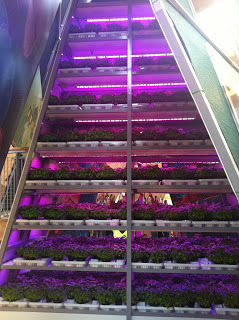 Each layer is fitted with Philips GreenPower LEDs under which fresh basil is being grown. Other than the LED lighting, the structure is completely dark, showing visitors how plants can be grown without sunlight. My Green Lab is a futuristic and experimental part of My Green World where visitors can learn more about the challenges facing the planet in terms of energy supply, water conservation and food production. My Green Lab offers insight into a variety of topics including algae cultivation for biofuel production and photosynthesis and cultivation without light. 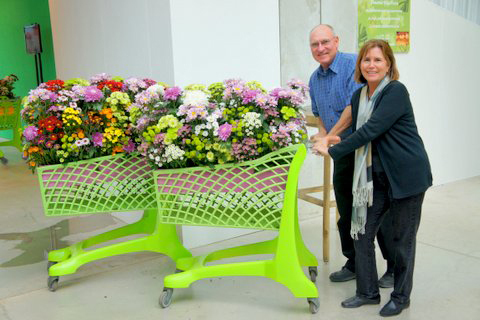 Also on display in the My Green World pavilion is a trellis carrier, which is marketed by Horticoop. This motorized rail system enables greenhouse workers to access any part of a commercial production facility. Partners in the development of the trellis carrier include TU Delft, Wageningen University, The Hague University and the Dutch Ministry of Economic Affairs, Agriculture and Innovation. Wageningen UR Greenhouse Horticulture, along with several greenhouse systems suppliers, is presenting research and new techniques for sustainable horticulture at Floriade. 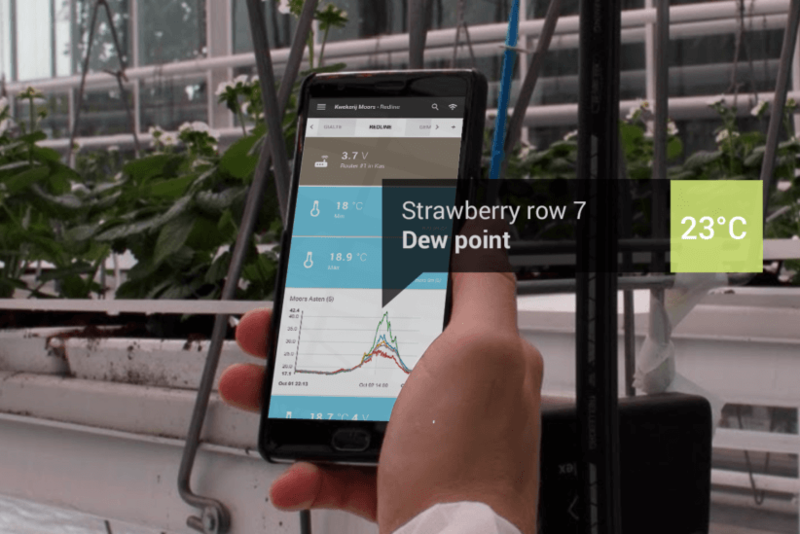 The Innovation Cluster is a modern greenhouse where five research themes are discussed: energy and climate, water and emissions, crop quality, crop protection and sustainable cultivation and production. Wageningen UR Greenhouse Horticulture and TNO are presenting the game My Cool Greenhouse at Floriade. Through an interactive game on a touch table, visitors can experience and see how a perfect greenhouse is created and what is involved in its operation. The game is also available to play online. Be sure to check out the YouTube video Innovatie Cluster Floriade.wmv. During this 2-minute video a group of children explore a high tech tomato greenhouse that has been built to provide sustainable growing. As they discover what happens in the greenhouse, the children learn how growing medium, water, carbon dioxide, air, environmental control, systems integration and research are combined to produce tasty tomatoes. Floriade 2012 started a scientific and practical support program in 2009 called Floriade Dialogue 2009-2012 Floriade Dialogue presents discussions on issues of great social importance related to principals of sustainability with impact on the quality of life. 1. Adequate and safe food production. 2. Responsible use of natural resources. 3. Balancing the built and natural environment. 4. Use of the potential of nature to improve the quality of life. 5. Regular access to enough high-quality food to lead active, healthy lives. 6. Expand economic growth and job creation through sustainable use of natural resources. 7. Strengthening horticultural and agricultural value chain operation and collaboration. 8. Generating logistic synergy and creating opportunities. The outcome of the sessions will be published under the title “The Self-Supporting and Livable City”. The publications will be available online in two editions of “Change” magazine. Floriade 2012: U.S. greenhouse growers visit and revisit the Netherlands for ideas and inspiration. Florida industry leader and greenhouse grower Rick Brown visited Floriade in the Netherlands in search of plants that would survive for consumers under Florida’s weather extremes. Rick Brown of Riverview Flower Farm in Seffner, Fla., sells Florida Friendly Plants. That may not sound unique or different, but Brown said the horticulture industry needs to do a better job at the regional level of testing, promoting and retailing plants that meet consumers’ expectations. “One of the problems at retail is there are so many different annuals to choose from,” Brown said. “Every year there is a subtle change, a little difference. But does that change really matter in the long run to the Florida consumer who is coming in for a red flowering plant? In some cases it does, but too often we are selling consumers something that is guaranteed to fail. Brown said part of the problem is that retailers, whether large chains or independents, want to sell something new and different—the latest and greatest rather than the tried and true. Just like in other parts of the country, there are peak periods in Florida when consumers are coming into the garden centers. “It is during those times that retailers are going to have all of that “different stuff”, including kangaroo paws, calla lilies and other flowering potted lilies in their stores,” he said. “And that is the time when we are starting to go into hot weather here in Florida. These plants aren’t going to survive for Florida consumers. A customer may take home a combination annual basket and in two days she’s wondering why she bought it. Brown visited Floriade for the first time in 1982. He hadn’t been back to the event in 30 years. Floriade is a horticultural exposition which is held in the Netherlands every 10 years. This year’s Floriade covers 163 acres and is open from April 5 through Oct. 7. It consists of gardens and pavilions including Villa Flora, the largest indoor flower exhibition in Europe. One of the primary reasons that Brown went to this year’s Floriade was to look for new and different succulents. He has been growing succulents for six years. Brown said succulents are good patio plants in Florida. Brown said another reason that succulent sales weren’t strong previously was because of their limited availability. Brown, who sells his products through Home Depot, offers succulent assortments of different species in a nine-count tray. He said the assortments, which can be transplanted into the consumer’s choice of containers, are doing very well. He is also offering sedum assortments in a nine-count tray that is also selling well. A succulent product that Brown introduced last year is the Classic Living Walls™, which is a nine-count tray that can be hung. “It’s nine 60-mm Elle pots that stay in their cells because they are rooted so well,” Brown said. “The tray has holes that enable the consumer to hang the plants on a wall. It’s the cheapest vertical garden a consumer can buy. It sells for $15 at retail. Other vertical gardens start at $150 per square foot plus the cost for maintenance. Consumers can hang our living wall on a fence or on the side of their house. Brown said he built some frames that are used in the stores to show how to use the Classic Living Walls™. Brown said he isn’t currently looking to expand the living wall concept beyond succulents because many plants have limited application in this format. Plants in the Classic Living Walls™ include different species of sedums, portulaca, senecios and kalanchoes. Brown said he is looking for plants that have good shelf life in the stores and also good consumer performance. 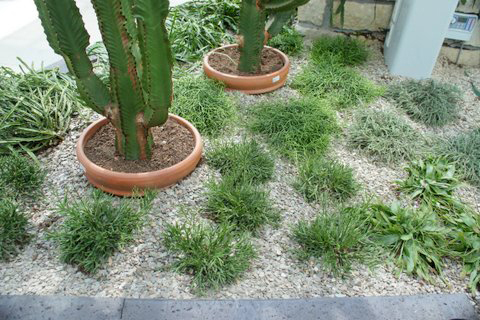 One plant that Brown saw at Floriade in several displays was rhipsalis or jungle cactus, which is an epiphytic plant. Another crop that Brown is excited about is the Garvinea line of perennial gerbera from Florist Holland BV. He started a relationship with the breeding company when he went to the Netherlands for the first time in 1982. He began growing gerbera in 1979 but had to discontinue their production because of the heavy disease and pest loads the plants encountered in Florida. Brown said the gerbera breeding 30 years later has addressed these problems. He said he has seen some trials with the Garvinea in Florida landscapes and the initial results have been good. “I have seen the plants in California during multiple years in established plantings and they looked great,” he said. Brown said that numerous kalanchoes were also displayed at Floriade. Euphorbia, including Euphorbia milii (crown of thorns), also does very well in Florida. Photos courtesy of Riverview Flower Farm. 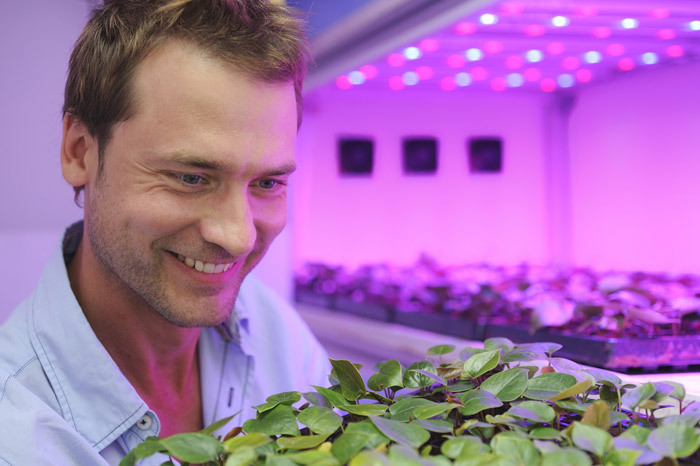 Filip Edstrom at Green Masters Inc. is seeking to quantify the advantages of switching from fluorescent to Horticultural LED Grow Lights in his company’s growth chamber. Filip Edstrom has seen the writing on the wall and it says “LEDs”. Edstrom, vice president at Green Masters Inc. in Apopka, Fla., said LED lights are where flat screen TVs and laptop computers were five to six years ago. 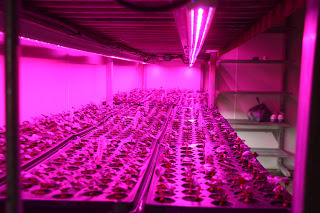 Green Masters, which is a flowering pot plant producer, operates a 1,000-square- foot growth chamber equipped with 480 4-foot fluorescent light fixtures. The chamber is air conditioned so that it can be used for seed germination and growing on some crops including cyclamen. Edstrom considered LEDs because he was looking for lamps that were more energy efficient and generated less heat than the fluorescent lamps. Working with Hort Americas, Edstrom has set up a trial to compare electricity usage and plant growth under the LEDs and fluorescent lamps. Edstrom is currently running a trial using one of the benches in the growth chamber that is equipped with the LED modules. Edstrom said replacing the 4-foot fluorescent lamp fixtures with the 120-centimeter LED modules has been very simple. Edstrom said the feedback on the performance of the LEDs from the grower who oversees the growth chamber has been positive. Edstrom said that during the summer there is not a lot of production occurring in the 8 acres of greenhouses and shade houses. The company produces about 45 different crops, including annuals, perennials and herbs. Edstrom said initial light measurements have shown that the LEDs are delivering 5-10 percent more light vs. the fluorescents. “Also, if we can shave off a week’s crop time in the chamber that is worth something,” he said. “Or if we can produce more compact plants without having to apply a PGR, that’s worth a lot. Edstrom said the initial cost of the LED lamps has come down and as the price continues to drop it will make financial sense to replace the old fluorescent fixtures. For more: Green Masters Inc., (407) 889-2416; www.greenmastersinc.com. Hort Americas, www.hortamericas.com; infohortamericas@gmail.com. Cutting Propagation in a Snap! production time by two weeks. Ecke has propagation facilities in Guatemala and Mexico. to being packed in the Ecke SNAP System. are callused in a different medium. medium is to keep them clean. shrink losses on the bench. SNAP System to be a better alternative to rooted cuttings. challenging to root any time of the year are easier to callus offshore. may eliminate some of those issues and allow us to add them to our offerings. 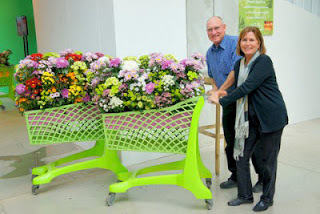 Hort Americas just returned from an excellent visit to The Netherlands and the 2011 HortiFair. 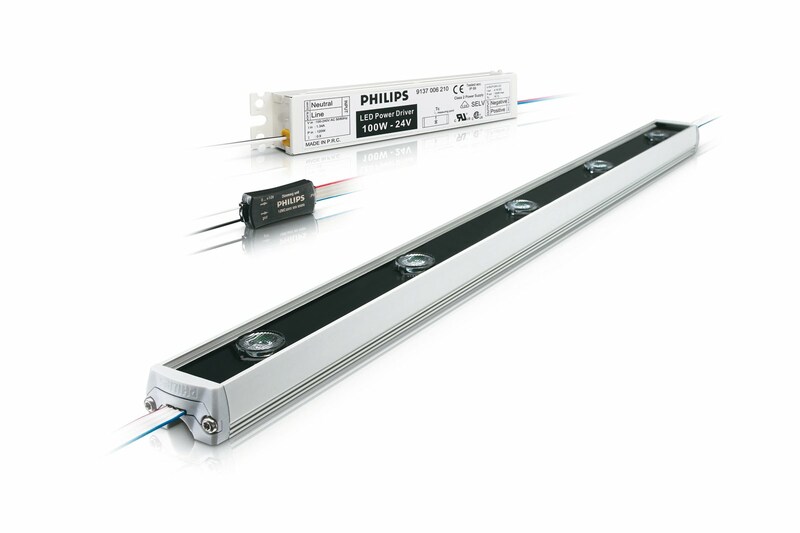 Also, for those interested in Philips GreenPower LED Grow Lights…click here to see their new Newsletter. Hort Americas recently saw this video from a news station in Tampa Bay, Florida. However there are times that major turmoil and obstacles can create new and unique opportunities. Watch this video to see how aquaponics and hydroponics may be an option for those looking for new ventures.